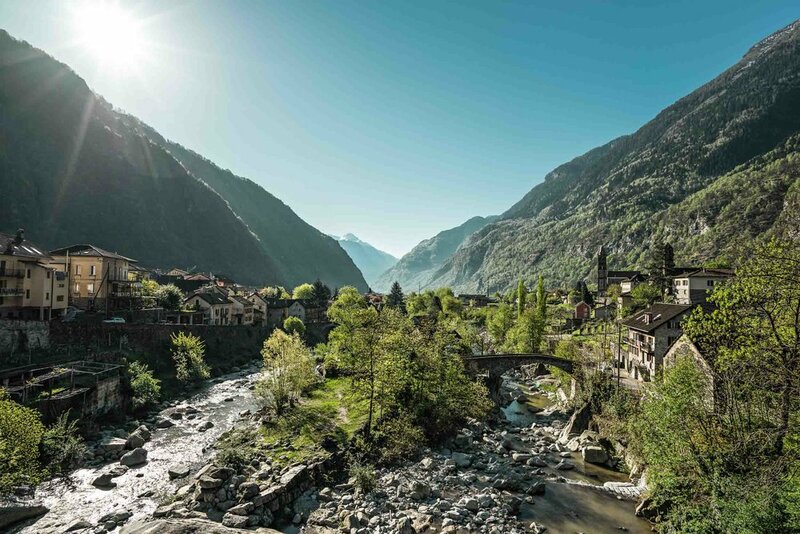 The canton of Ticino is the southern most canton in Switzerland, bordering Italy. It is Italian-speaking (the only canton with Italian as the sole official language!) and, as you’ll see in the photos below, has a large Italian influence and feel. 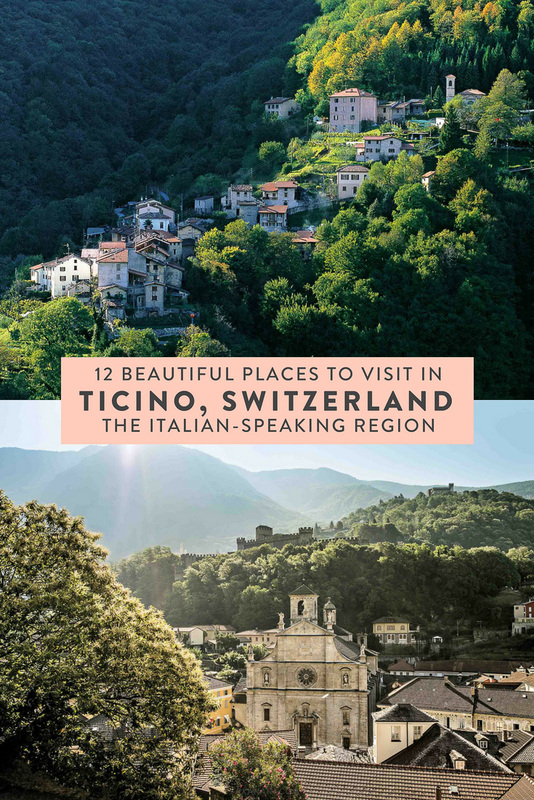 As someone who very deeply loves both Switzerland and Italy, it is a place high on my list to visit! Earlier this year I was invited to an event in San Francisco by my friends at Switzerland Tourism. During the event, a representative from Ticino talked a bit about it and I couldn’t believe how similar it looked to Italy. 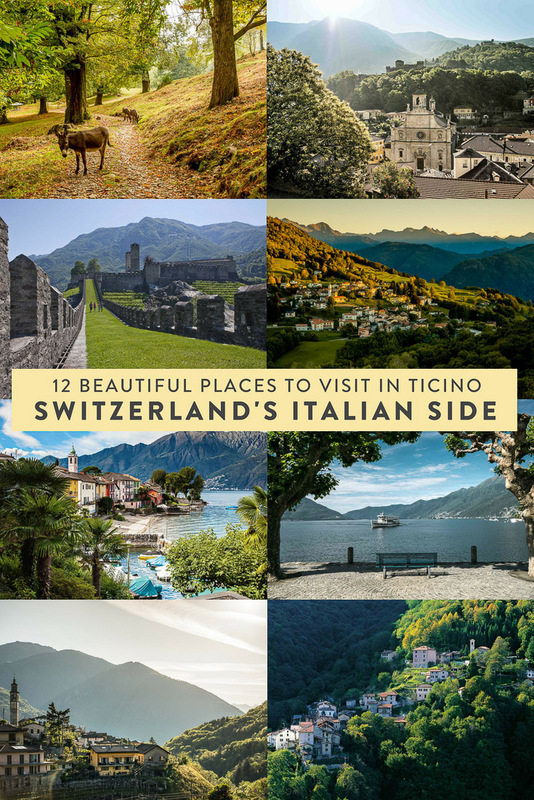 I had never heard of Ticino prior. 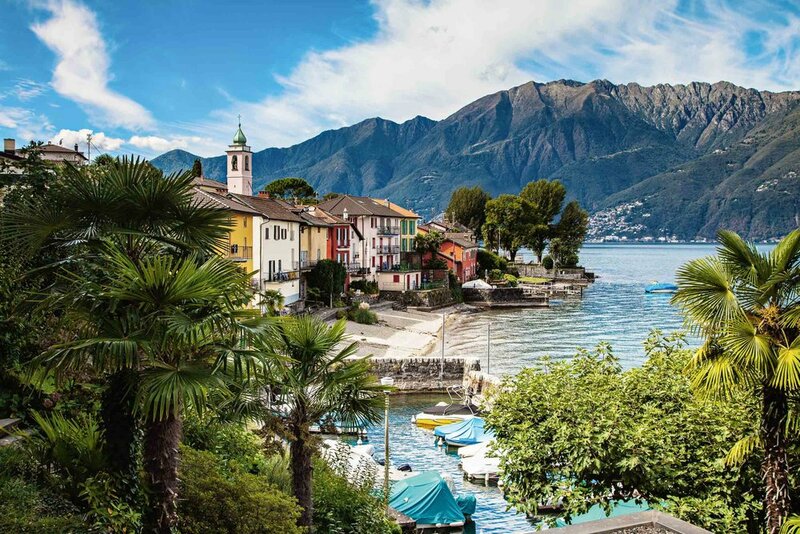 Ticino Switzerland has a very Mediterranean vibe, with beautiful beaches, palm trees, and sparkling blue waters. 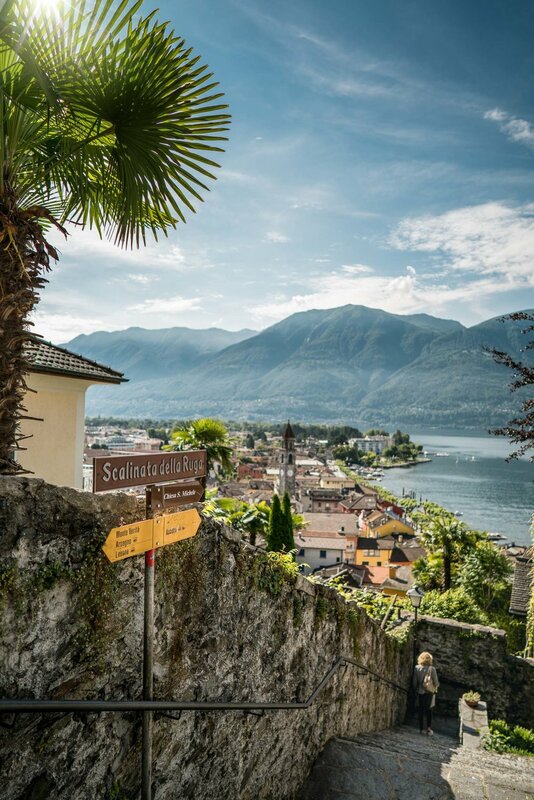 Similar to Italy, you’ll also often find charming alleyways, piazzas, churches and a mixture of city and country — something for everyone! Since then I’ve been thinking about visiting, so I did some poking around the Switzerland Tourism site, researching all of the different places I’d like to visit. 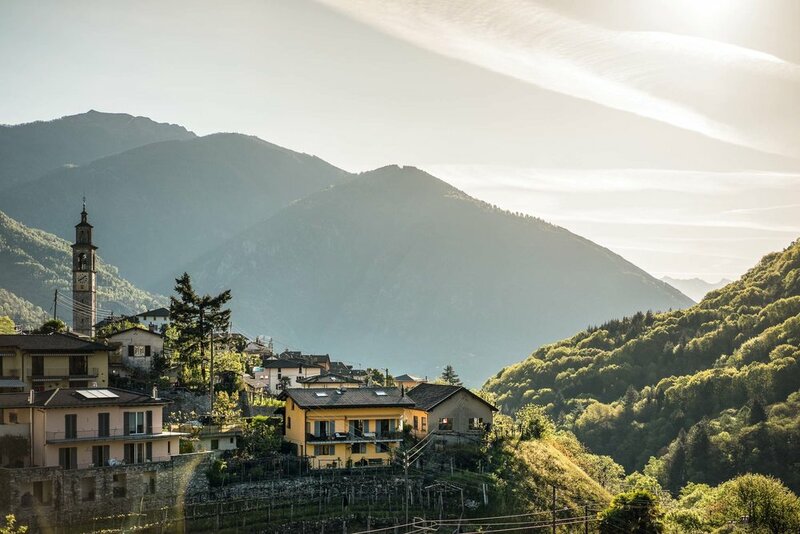 If you too would like to explore something a little more off-the-beaten path in Switzerland, here are X places to visit in Ticino, Switzerland. Note: all photos below are via Switzerland Tourism and may not be reused without their permission. 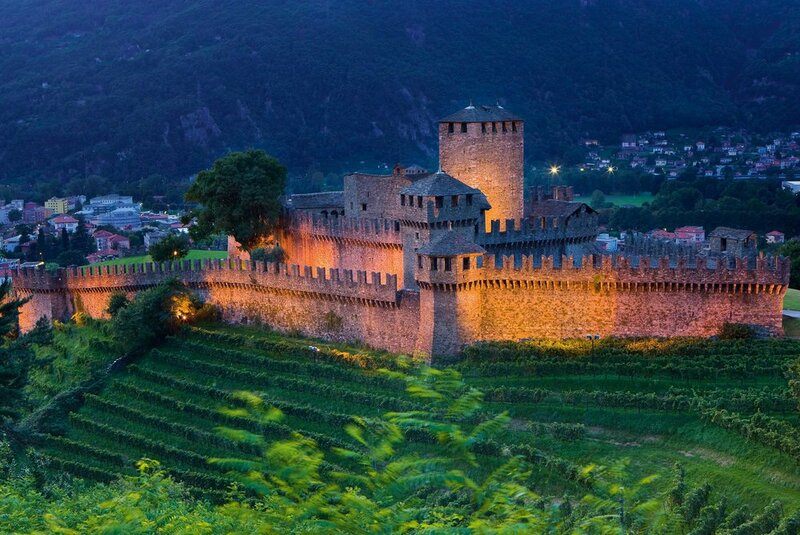 Bellinzona is the capital of Ticino Switzerland. It is home to not one, not two, but *three* medieval castles — Castelgrande, Montebello, and Sasso Corbaro. They are said to be some of the most well preserved in all of Switzerland. 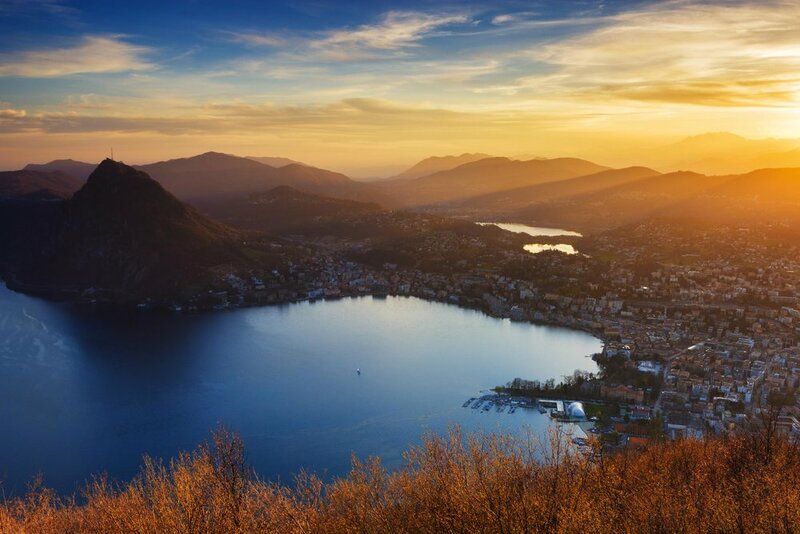 Lugano is a city situated on the northern shore of Lake Lugano. 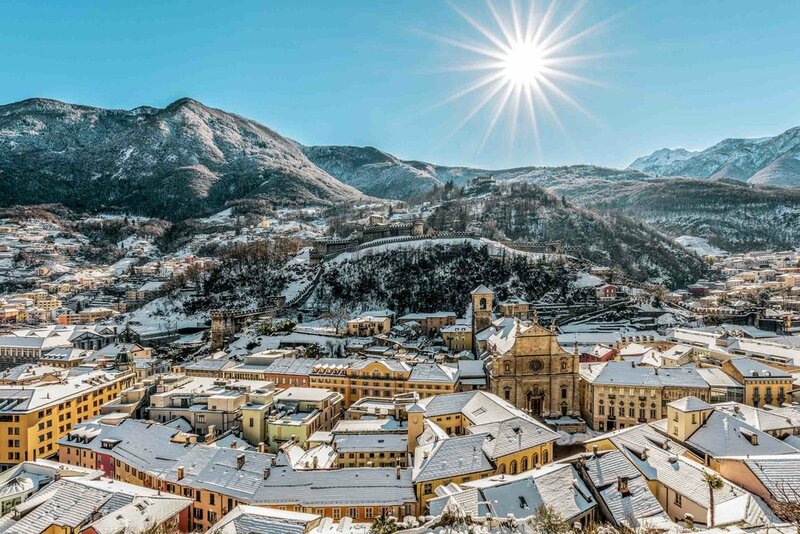 It is the largest town in Ticino yet has, my favorite, a car-free historic town centre! 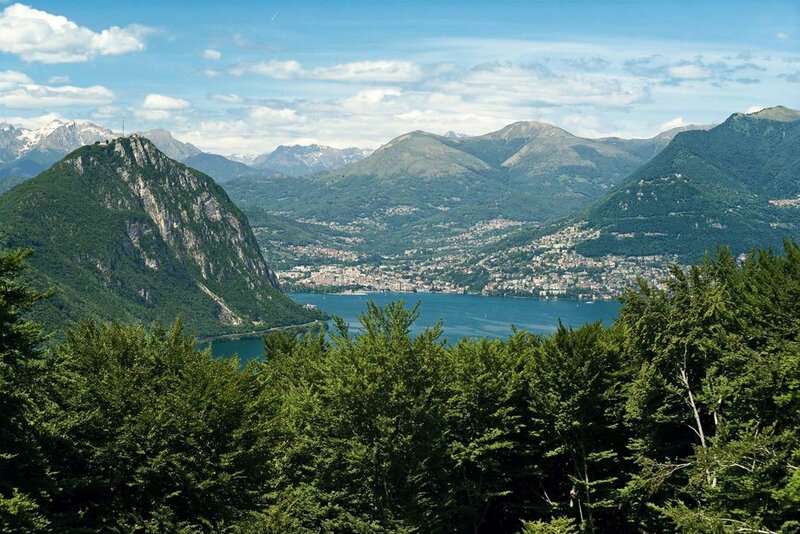 Monte Bre is a funicular away from Lugano, offering panoramic views of the town, the lake, the mountains, and Italy. 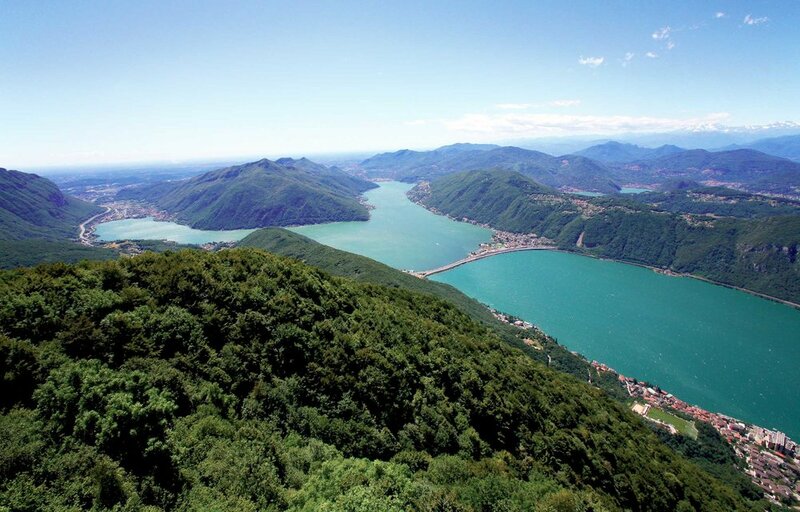 Monte San Salvatore can also be reached by funicular and has a panoramic footpath with breathtaking views. 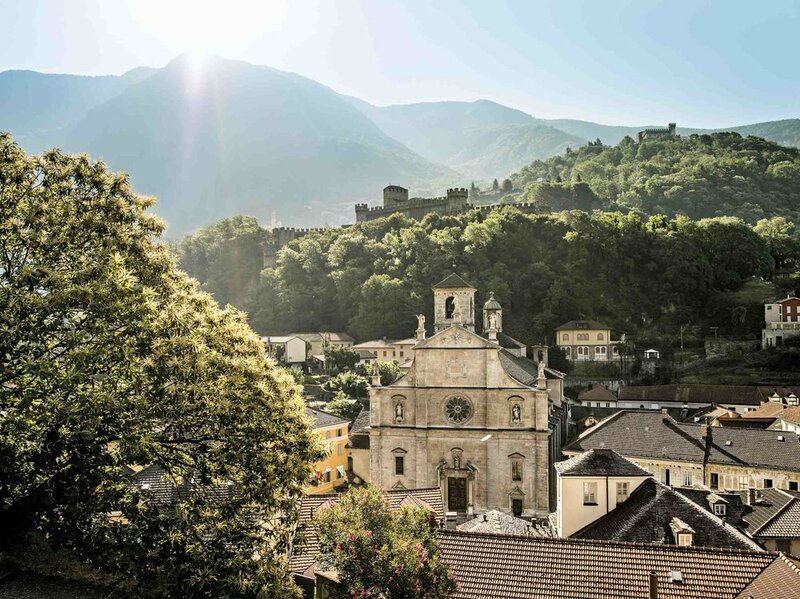 In Lugano itself, don’t miss Parco Civico Ciani, a tranquil park, San Lorenzo Cathedral, or Church of Santa Maria degli Angioli. 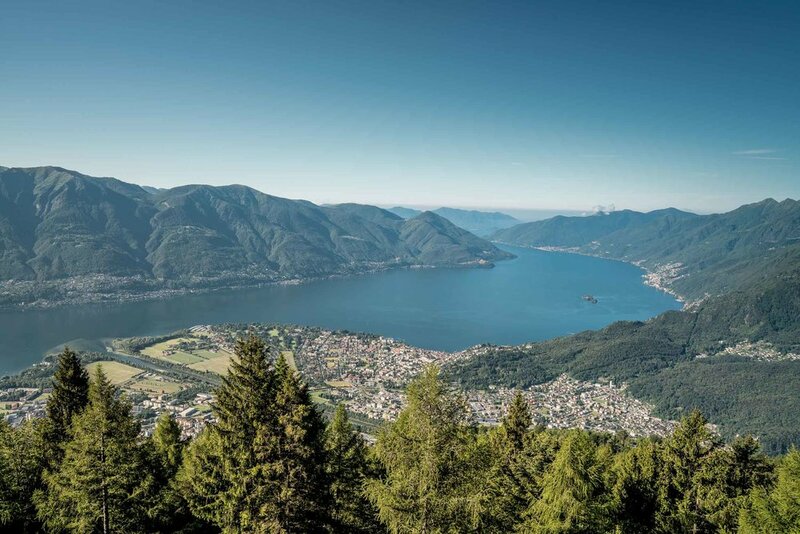 The “Riviera del Gambarogna” sits between Lake Maggiore and the mountains, offering breathtaking views. 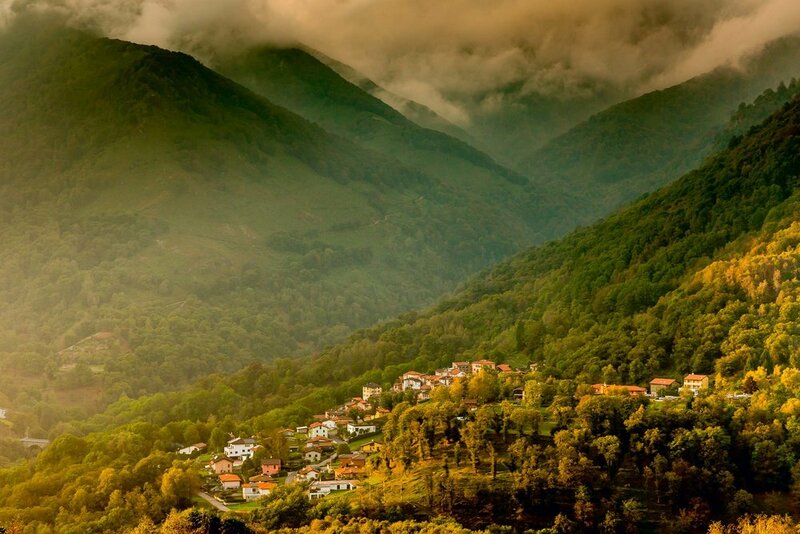 It has two hundred km of hiking trails and a magnificent botanical garden, the Botanical Garden of Gambarogno. in addition to hiking, there are yoga trails, bike trails, and more. You can read about them on their tourist site here. 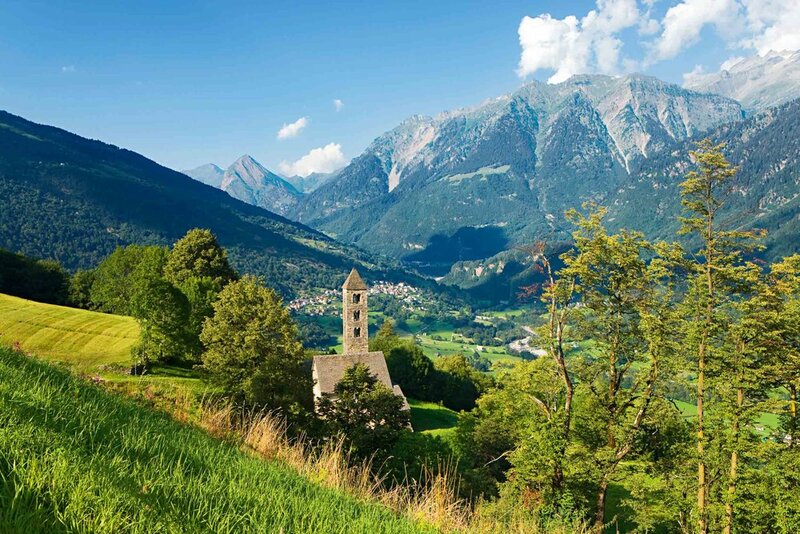 Don’t miss the San Gottardo Church whose tower is the highest in Ticino. 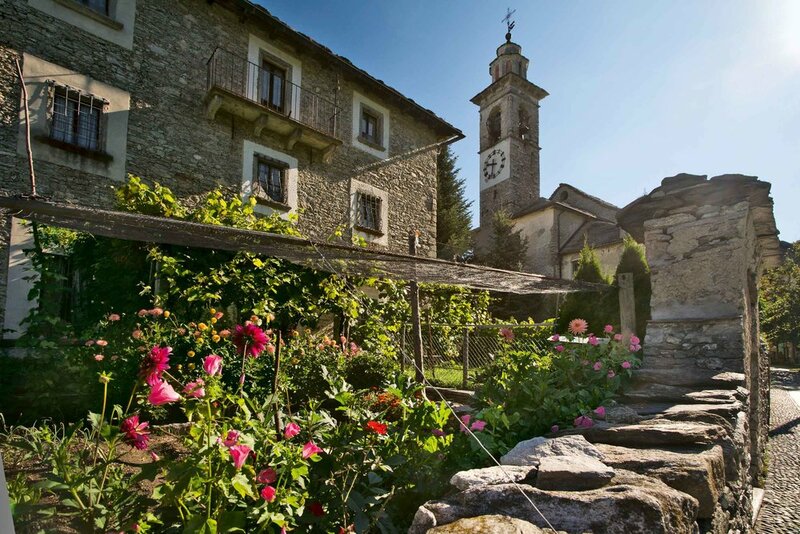 It dates back to 1722 and is a major attraction in Intragna, located in the heart of the city. 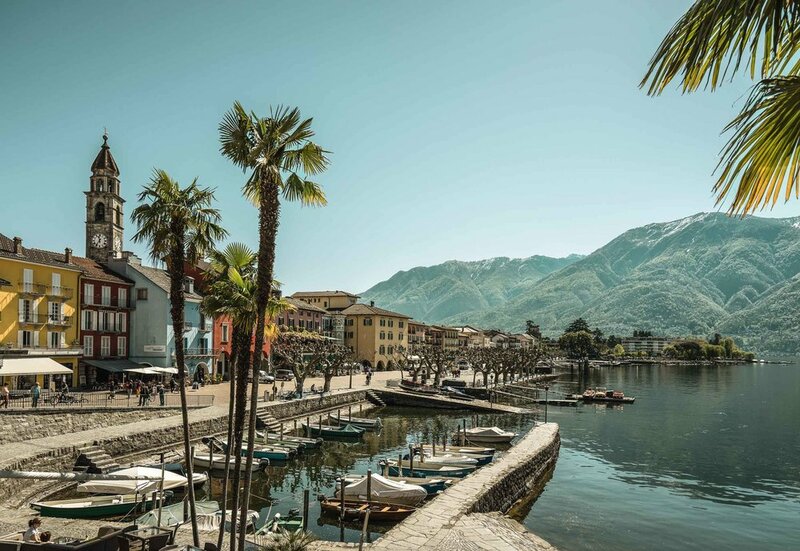 Ascona is often called the pearl of Lake Maggiore and it happens to be the spot that made me fall in love with Ticino in the first place! 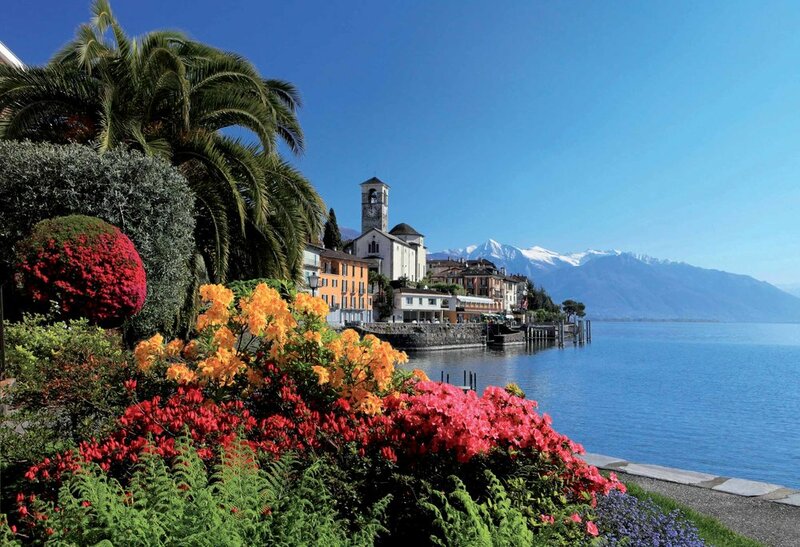 It is situated directly on the lake with a beautiful promenade, colorful houses, and tall palm trees. 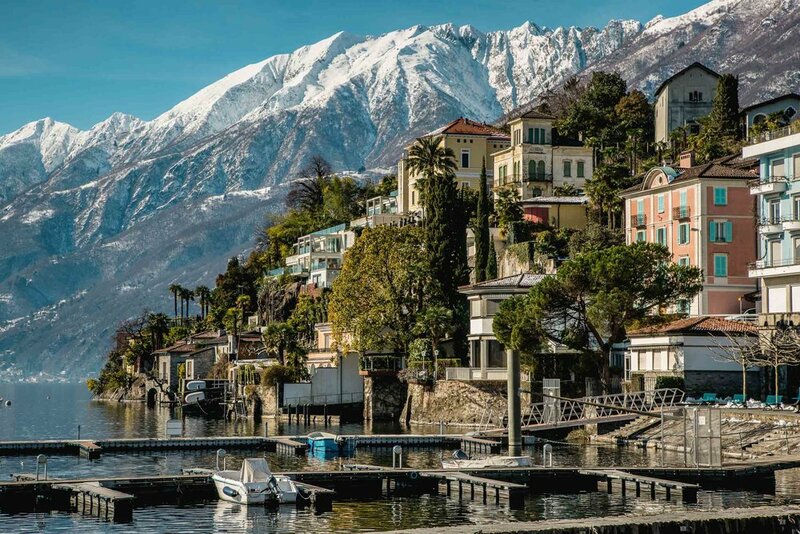 Brissago is a picturesque town on the shores of Lake Maggiore. 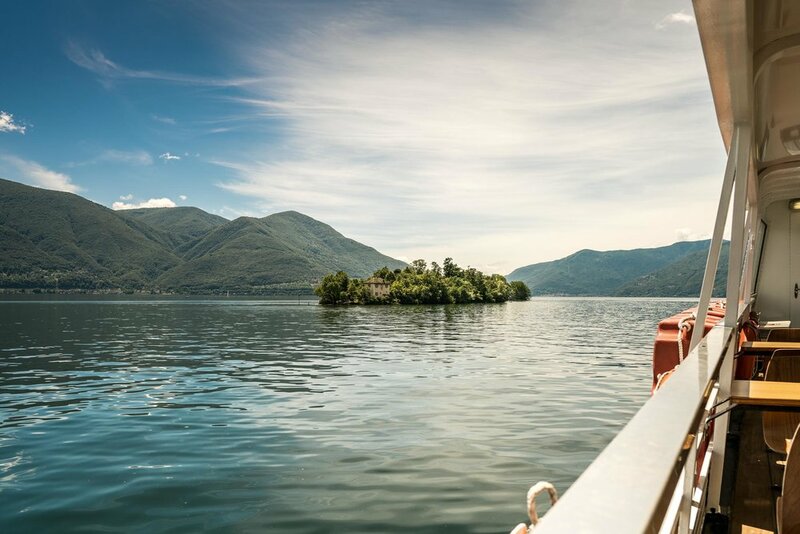 There are also two Brissago Islands on Lake Maggiore, home to the Botanical Garden of Canton Ticino, the only botanical garden on an island in Switzerland! It houses 1,700 plant species on it. 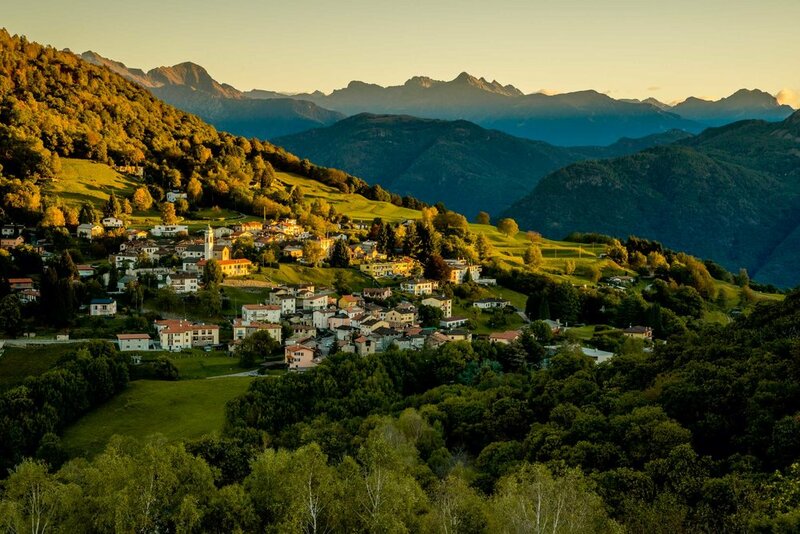 The Muggio Valley is a collection of nine peaceful and quiet villages. 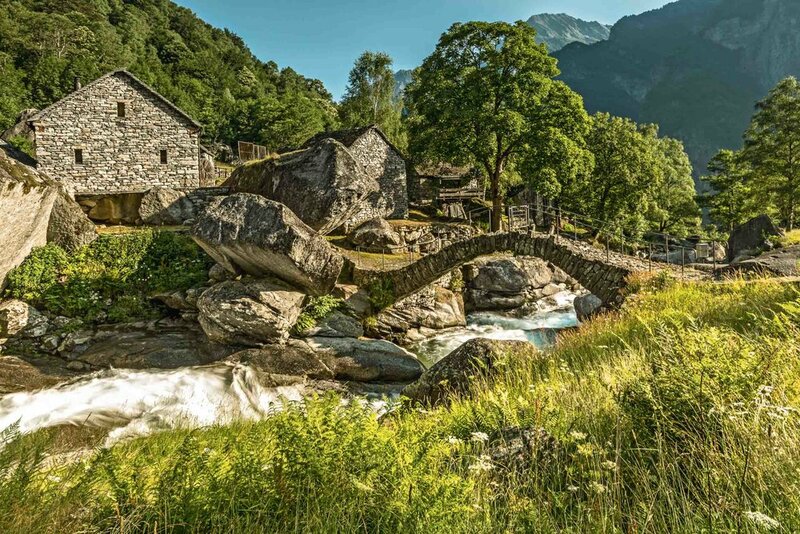 In 2014 it was recognized as Switzerland’s most beautiful landscape by the foundation for landscape conversation. Corippo is so small it has just 14 residents! 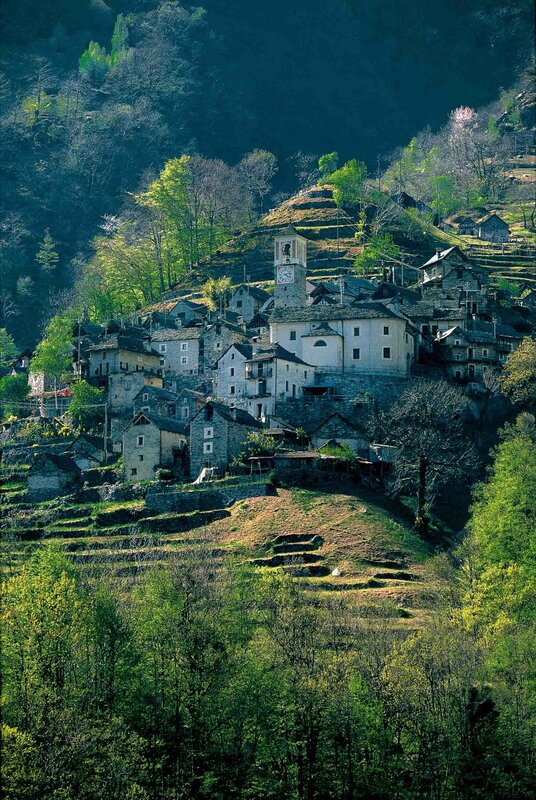 It is the smallest in Switzerland and said to be one of the most picturesque in Ticino. 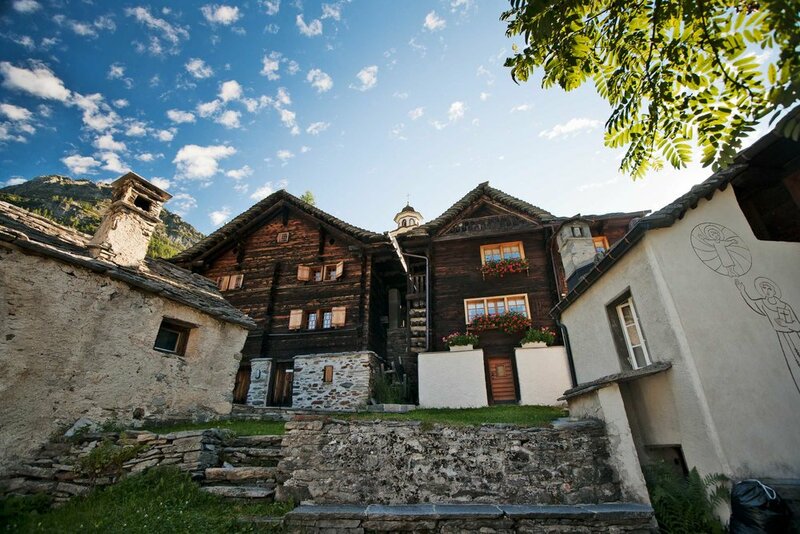 The houses are all built from local Ticino granite and slate roofs, making them all beautifully uniform. 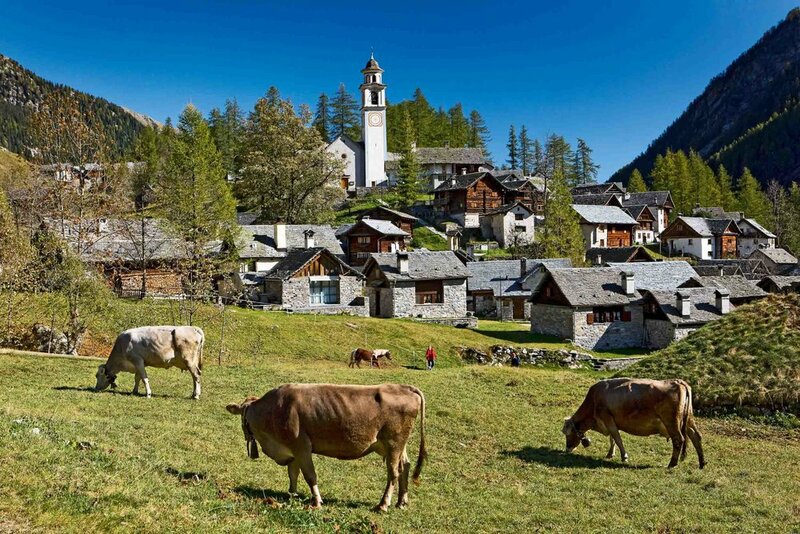 Bosco/Gurin is another incredibly small village, with a population of just 55. 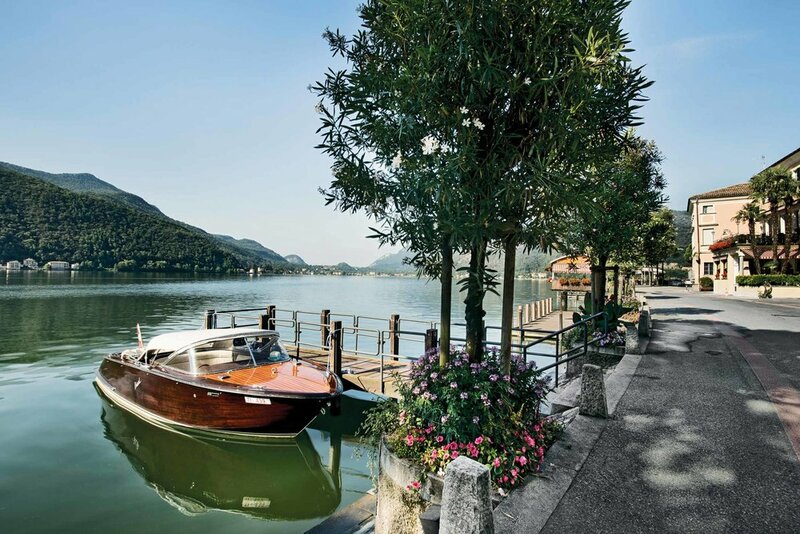 Despite Italian being in the official language of Ticino, Bosco/Gurin has historically been German-speaking! 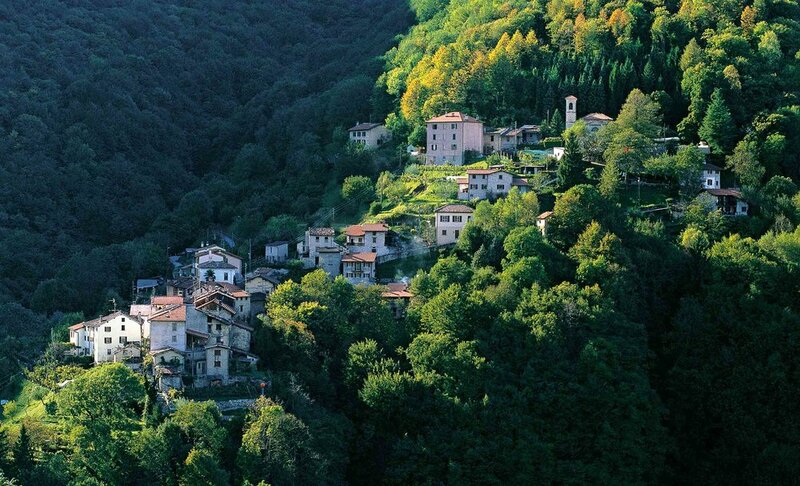 A very small car-free village in Centovalli Valley. You can arrive by foot from Palagnedra, Ronco, and Intragna via the Roman Bridge or from Corcapolo via the bridge of Salmina.